The MJRRC offers fun and fellowship throughout the year by organizing seeded and unseeded treasure hunts, events and activities. 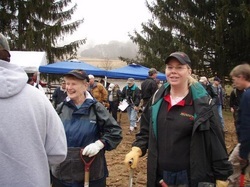 Our members are a friendly group who are always willing to assist newcomers as well as share their experiences and knowledge in all aspects of the metal detecting hobby. New Members are always welcome to join our Club.